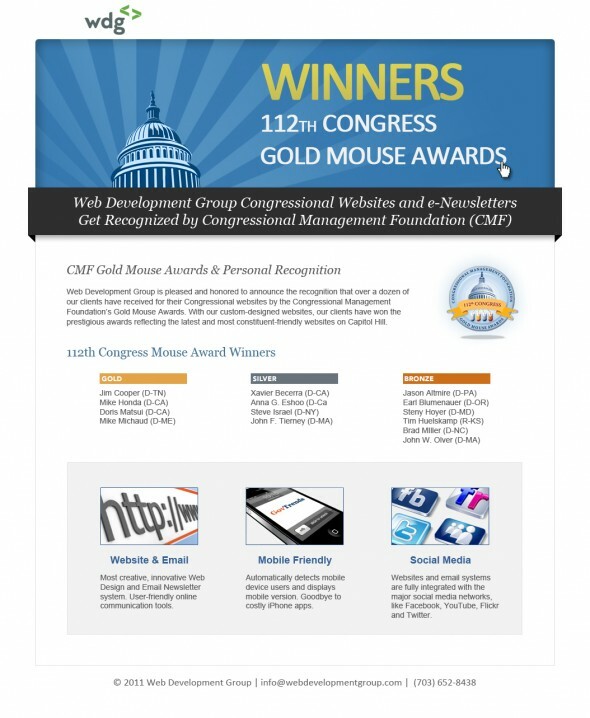 We are pleased and honored to announce the recognition that over a dozen of our clients have received for their congressional online web infrastructure by the Congressional Management Foundation. These award is given to the best Congressional Websites on Capitol Hill. At Web Development Group, a DC web development company, we provide socially engaging web solutions for corporate and government clients. Contact us for WordPress, Drupal, Joomla and Ruby on Rails web development services at 703.652.7103.